Regardless of your home locksmith need, we can certainly help you! Our prompt and affordable services can help you change the locks on your home, get back in when you’re locked out, or repair existing locks. 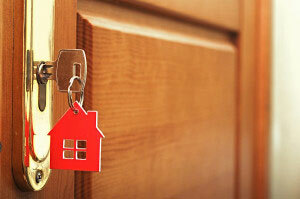 We really can do it all when it comes to locks in your home! Locked out of your house in Chicago? Locked out of your Apartment or Condo? Let our Locksmiths open your door in as fast as 15 Minutes! We specialize in getting people back into their locked homes, so give us a call now and get out of the elements. Our emergency locksmiths can be there in as little as 15 minutes to unlock your home fast! We are the Chicago home locksmith experts! 24/7 Speedy Locksmith only uses the highest quality tools and methods when it comes to gaining access to your home. If you are saying “I locked my keys in my house!”, we’re the right people to call. We will get back you in your home when you’re locked out, It’s that simple. If you are locked out of your house in Chicago, or maybe locked out of your apartment in Chicago, you could be exposed to potentially dangerous serious security threats as well as weather. Do not delay if you are locked out of your home. Trying to gain access to your home can also present risks. Breaking into you house can be dangerous and can cause serious harm to your person, not to mention hundreds of dollars of damage to your home. Call now to speak with a locksmith specialist concerning your locked out of house situation. We can provide the proper locksmith service for any of these lock related issues. Whether you’re moving into a new home, changing locks for a new tenant, or have a security concern, we can quickly and discreetly change your locks in your home, condo, or apartment. Our affordable service makes it easier than ever to get the peace of mind a fresh set of locks brings. Learn more.